Find Rugby Now » Latest Blogs » Should Club’s Close for the Season? To close the season or not to close the season? At the playing window for rugby is drawing to a close many clubs will be looking at a closed season. Activity stops, the grass grows and the bars and club house fall silent for a few weeks. In fact the RFU have started going out to clubs to remind them that within Regulation 15 it clearly states that clubs should not be doing any activity over this period with mini and youth rugby. Having looked at few other NGBs it appears that rugby is in the minority of sports which actually has a rule prohibiting development of young players for a proportion of the year. So what are the potential outcomes of this? Clubs who fully shut down for a few months in their mini and youth sections lose the community for that time, lose the income from the clubhouse whilst they are closed. Players lose contact with their team-mates, coaches and others within the micro-community which is the rugby club. Ok, they might wander off and play a different sport for that time or they might not play any sport. The risk for our game is present across all of these. People get used to not going to rugby, they start playing other sports which don’t seem to have this mandatory shut down in their rules or they stop playing sport altogether. Yes, rugby is a winter sport but clubs have much to offer over the summer too. 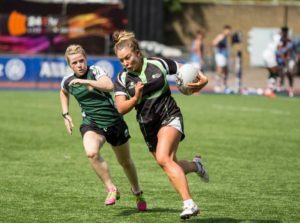 Sevens rugby is one of the fastest growing sports out there and touch rugby together with beach rugby offers players to opportunity to play in mixed gender and age groups which spreads the knowledge of the game and adds to the interaction within the community at these clubs. The current Regulation 15 looks to be totally opposed to this opportunity which is a real shame. Some of the most enjoyable days in the summer have been at 7s tournaments (such as FRN’s own event) or at the beach with others from my club playing games involving players from the minis up to the senior sides. Some of those young players have gone on to play side by side with those 1st XV players years later and still talk about those games where they first took to a pitch together. Rugby isn’t just a winter sport, it’s a club and wider game community and the rules should embrace that rather than put obstacles in the way of it.